We are commited to providing a safe and secure online shopping experience to all of our patients. 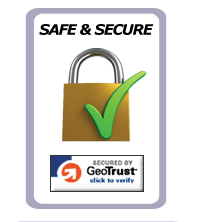 GeoTrust secures all Canadian Pharmacy Link online transactions. The digital certificate and trust products provide maximum security.